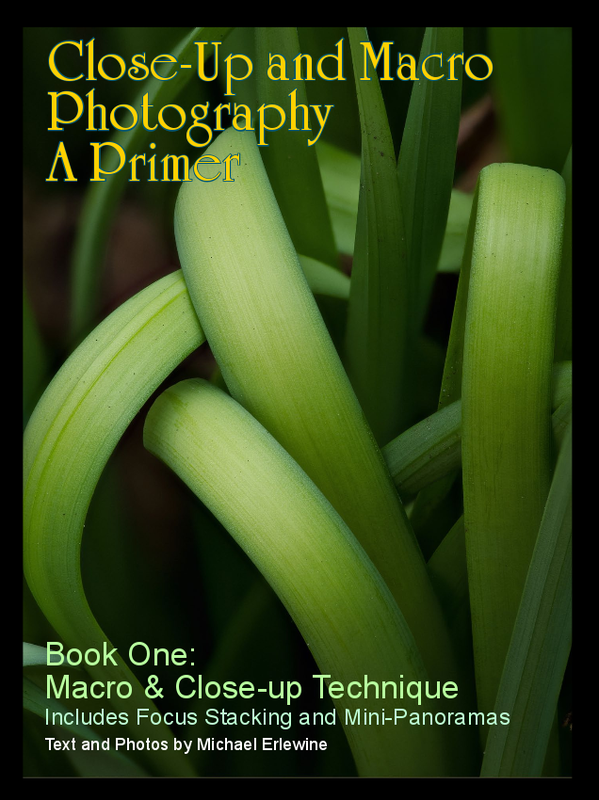 When a notice appeared in my morning news feed telling me that there was a new, free ebook on macro photography, I couldn’t resist downloading it. 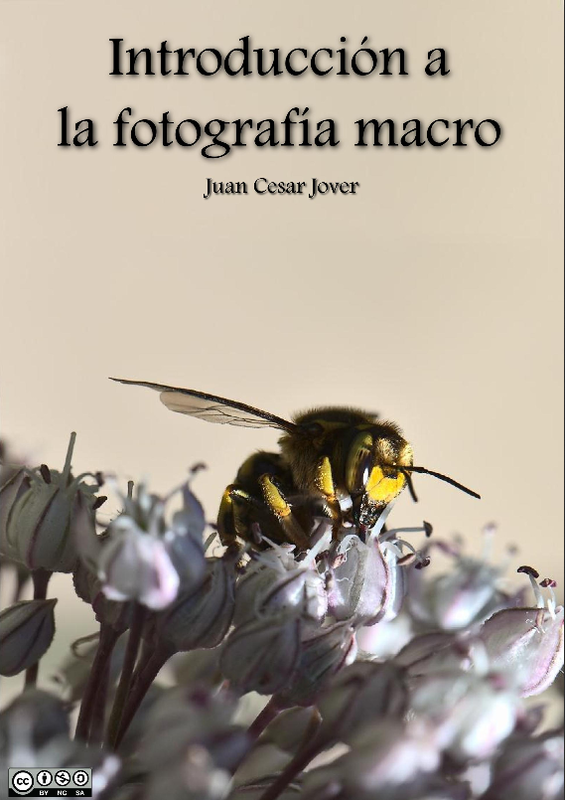 Although a lousy photographer myself, Juan CÃ©sar Jover’s IntroducciÃ³n a la fotografÃ­a macro (distributed under a CC – BY NC SA license) immediately made me want to go and buy a decent camera, hike into the countryside and take pics of tiny things and make them look ginormous. The 68-page volume broaches techniques, tips and tricks for both amateur pic-snappers (like myself), owners of cheap pocket cameras, and professionals with rigs costing thousands of dollars. The book, which is in Spanish, also made me wonder what other free PDF books I could find on the same topic. Unfortunately not a great deal it seems, but there are at least two other books that are well worth taking a look at. 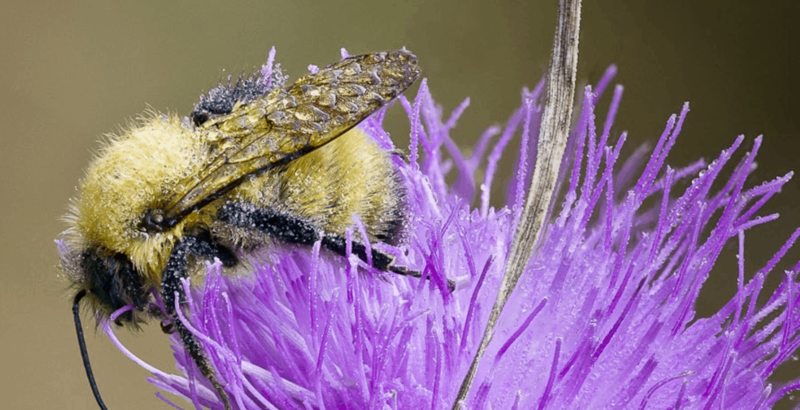 Macro and Close up Technique by Michael Erlewine seems to be the first part of a multi-volume treatise on macro techniques. Although I was unable to find part two, this is already an impressive guide. In the 137 pages, Michael focuses (hah hah!) on professional equipment exclusively and gives detailed advice on cameras, lenses and other kit you’ll need. The last part of the book is dedicated to some of the Michael’s own pictures and shows what you can expect to achieve if you follow the tutorials. 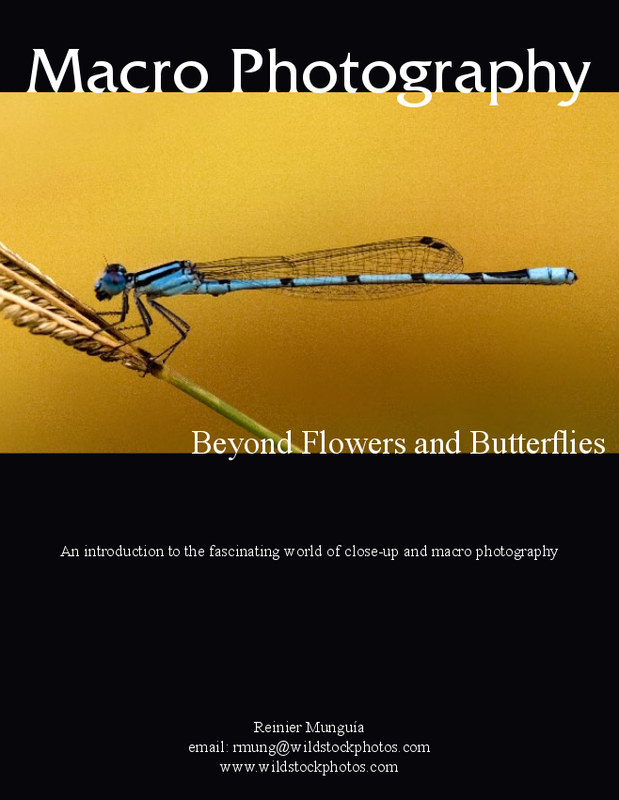 Finally there’s Macro Photography – Beyond Flowers and Butterflies by Reinier MunguÃ­a, which, for consistency’s sake, features a dragonfly on the cover. This is a short book, containing only 15 pages, but it is worthwhile as it is stuffed with practical advice and tips about kit (much of which you can build using inexpensive household items) that will help you get the picture you’re looking for. Know of any other resources? That’s what the comments section is for! Share with us! It si Juan, the author of the macro photography book. Thanks for the link and the article. I have in mind translate the book, but time is the main problem. Maybe you could make it a crowdsourced project? You know, break up the source into, say, sections within the chapters, and put them on GitHub so people (and yourself) can translate them bit by bit. Something else… Why don’t you put your book on Pling and see if you can attract some donations and some fans for future work? If you want help, send me an email at [my name] at pling dot it. Or you can just go to http://pling.it. It is really very simple. terms and Conditions: http://www.pling.it/content/terms. FAQ is here: http://www.pling.it/content/faq. One last thing, if I were you, I’d change the license to simply CC – By SA. A commercial use of your work would only get you more coverage, since anybody who uses your text or photos commercially will be legally obligated to mention you anyway. Mmmm, I’ll think about get some help with the translation (I have more documentaiton about photography, mostly about software still waiting, I’m faster translating from english to spanish). You’re welcome. Thanks for the book. It’s great. Wow, I didn’t know there is a book about micro photography, some times on my free time with my cell phone I like taking pictures up close of plants and flowers it’s hard to get birds . I thought it was only me , maybe it’s time to get a real camera. By no means is it a serious camera, and it’s a bit old. But it only costs 55 euros (about 80 euros back in the day) and it is still much better than even the most modern phone.